A Beautiful, Tragic Life Begins – Mark Loves History! Today in History, June 12: 1929 – Annelies Frank is born in Frankfurt, Germany. On this date in 1943 she would receive a diary for the birthday. Soon after, the little Jewish girl and her family would go into hiding from the Nazis, being hidden by their Gentile friends. Living in an attic, she described her experiences in her diary until the family was sold out by someone in the community and taken prisoner by the Nazis. Anne’s mother would die at Auschwitz (concentration camp). In 1945, after enduing starvation and slave labor, Anne and her sister would die in the Bergen-Belsen concentration camp of Typhus. 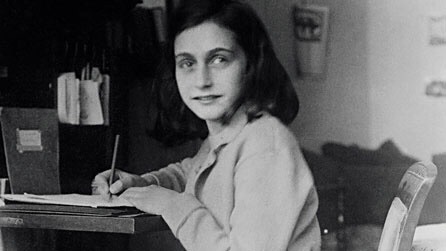 In 1947, her father would publish her diary as “Diary of a young girl”. The heart wrenching book would be published in over 60 languages.